WASHINGTON — House Minority Leader Nancy Pelosi’s bid to retake the role of speaker of the House could hinge on Democrats’ newly strengthened veterans membership. On Monday, nine incumbent Democratic House members who served in the military released a letter backing Pelosi’s bid to lead the chamber at the start of the next Congress, pointing to her past advocacy work on issues like expansion of GI Bill benefits, veterans transition assistance programs and anti-terrorism legislation. The message came the same day that 16 other Democratic lawmakers and lawmakers-elect issued a similar letter calling for the party “to change the status quo” and vowing a vote for “new leadership” in next year’s Congress. Among those signers were veterans Rep. Seth Moulton of Massachusetts and Rep.-elect Max Rose of New York. 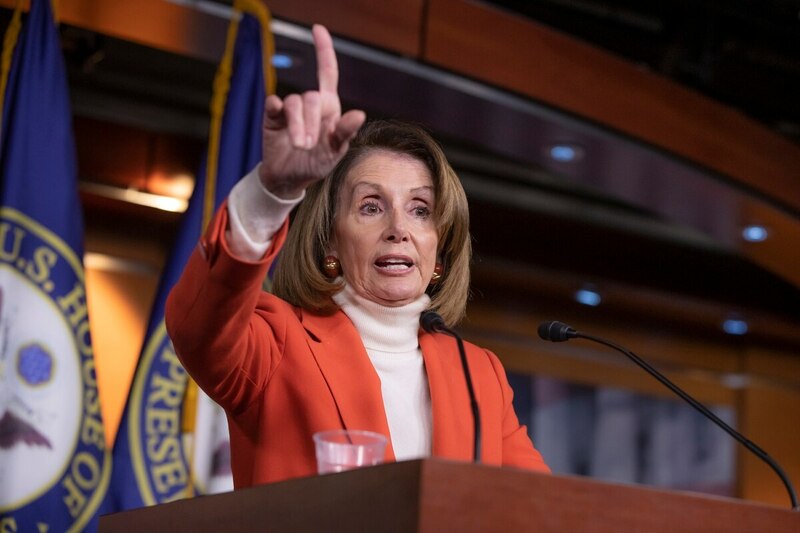 In addition, four other newly elected veteran lawmakers — Colorado’s Jason Crow, California’s Gil Cisneros, Maine’s Jared Golen and New Jersey’s Mikie Sherrill — have publicly stated opposition or concerns about Pelosi returning to the leadership post. House Democrats will enter 2019 with 26 veterans in their membership, a potentially powerful voting block and national security sounding board for the party. Together, they’ll amount to more than 10 percent of the House majority, and their separate decisions on the leadership race could shape the next two years in that chamber. The six veterans who have voiced concerns with Pelosi, who has served as the House’s top Democrat since 2003, have focused on broader concerns about government reform and not on defense or veterans issues. But Pelosi has made those topics part of her pitch to lead the House next year. In recent months, she has spoken out against what she sees as President Donald Trump’s attempts to privatize large portions of VA health care. On Veterans Day, she released a statement promising oversight on issues of women’s care, benefits delivery and employee protections at the department. To become speaker, Pelosi needs a majority of votes in the House. With 234 Democratic members right now, that means she can afford to lose only 16 members if every lawmaker in the chamber casts a vote. However, if some of the Democrats opposed to her opt to record their vote as “present” rather than backing a specific candidate, Pelosi could claim the speaker’s seat with as few as 202 backers. That makes each of the veterans’ votes critical in the race. In recent days, Pelosi has been meeting with a host of current and new lawmakers to discuss their concerns and goals, and to outline her plans for Democrats taking control of the chamber. Democrats who served in the military will make up about one-third of all the veterans in the House in the 116th Congress. Fifty-five veteran Republicans — including 12 newly-elected lawmakers — are scheduled to be part of the chamber next year, with a few congressional races still undecided.